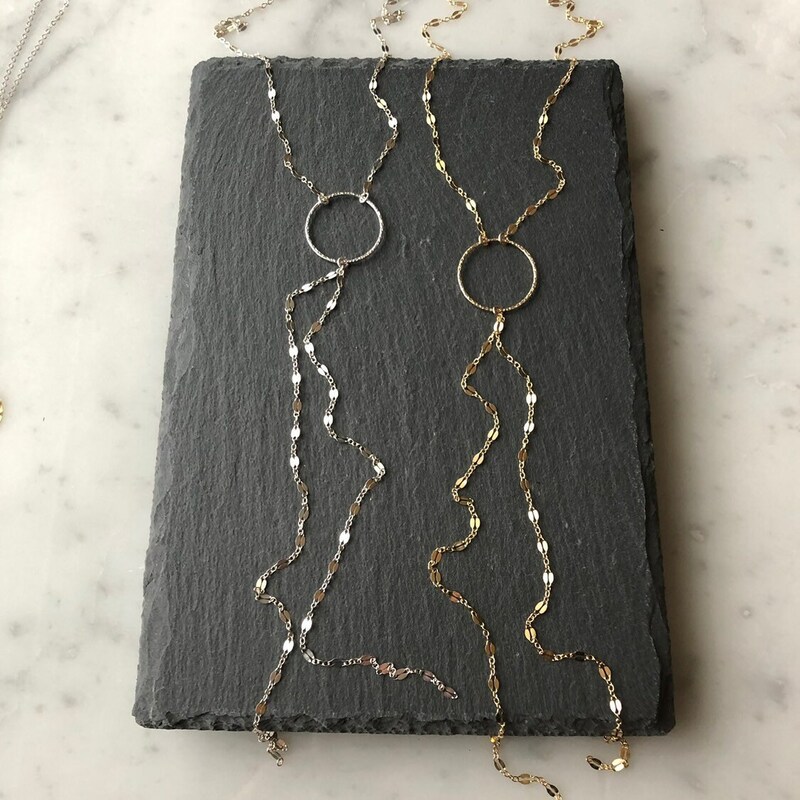 A detailed sterling silver or 14 k gold fill sequin chain with a hammered circle makes the perfect minimalist or layering piece as a Y style/Lariat style necklace. 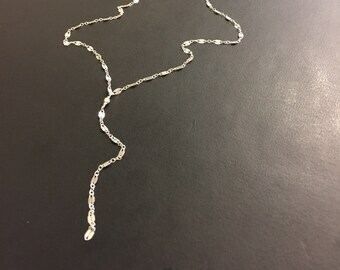 It can be ordered from 16-20 inches in length (shown on mode in 18” length) and dangles approximately 11 inches from the circle. 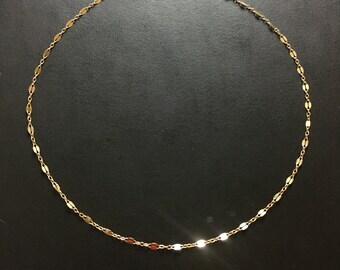 It has a sterling silver or 14k gold fill lobster clasp closure.